What is the label you’d put on the blue dot in the middle of this graphic? Hi! Josh , it’s pretty one . Thanks for sharing . I would like to share the vision tool which I have developed for youngers. Getting very nice experiences. In the above I think responses of youngers and adult population will be different . The blue blob in the middle could be the AHA moment. I would put “LIFE” as the word on the blue dot. That may be too obvious and relats to KARMA again,but I feel that’s precise. you beat me.. damn it.. and i thought i was the fun-de-mentalist… well done Josh.. I would call this blue dot as “CG” as in Centre of Gravity. One’s life should be balanced around this blue dot. the blue dot represents “spirit” our intentional being – life purpose. Our spirit is at the votex of our mental, emotion, physical being. for me this diagram shows when we are balanced then spirit has each of these four aspects balanced too. eg: Funds can be emotional, physical, spiritual and mental funds. I would call it “Peace”. The perfect intersectioin of knowing what you want to do, why you are here to do it and having the capability, resources and vision to execute. Such an ability coupled with clarity and action is “Peace”. Hi John – and if many of us were “hanging out” in that intersection, I think we’d also be creating peace in our communities and nations because we’d be whole and vibrant and fulfilled and prosperous! This is the point of Self-Actualization, as seen at the capstone of Maslow’s hierarchy. Hi Josh, I would think of ‘ Providence” . To be awake and to know that life is noble is providence. Thanks, it is a GR8 visual with wisdom. Josh, – People/Person who has all that you have mentioned in the circles? The blue dot for me represents ” I “(not the egoist one) , but the third eye! The blue dot represents according to me ‘Dharma’ which in Indian meaning the inner virtue of individual for which he is born to Give. for example Sugar taste sweet because of its quality. Still thinking…great image, very powerful! Great image… illustrating an overview of the importance of balance, and also providing a template to fill independently. The items which an individual could list in each category can help to shed light on one’s current equation and the areas that need to be filled or slackened for balance. The blue dot in the middle could be labeled virtue, and in a balanced/ idealistic sense, be joy or realization. Its more like a “Plug” – a proverbial “Life Plug” – its what keeps everything together and inter connected… pull it out and everything goes down the drain ! I would call the blue dot as “Calling”. 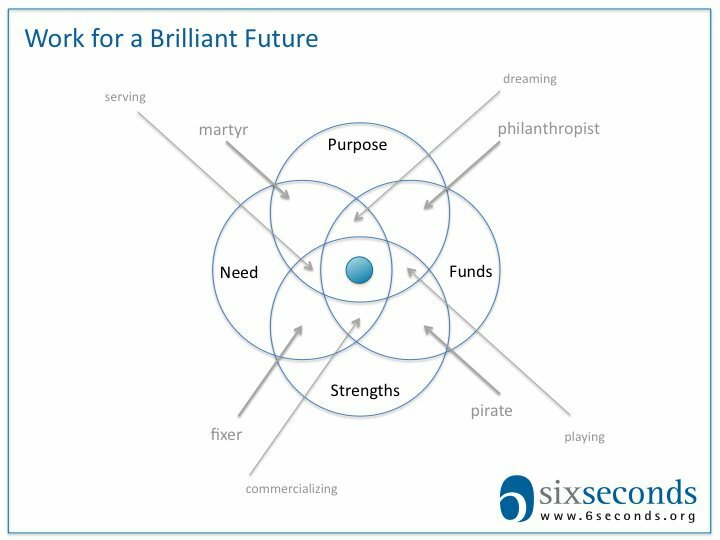 A call to use our talents to fulfil the pressing needs in the world with our purpose (getting the right return – fund). Nice one Matchy – very clear.